Small flowers in small inflorescences on two small plants, both very common in Iceland. 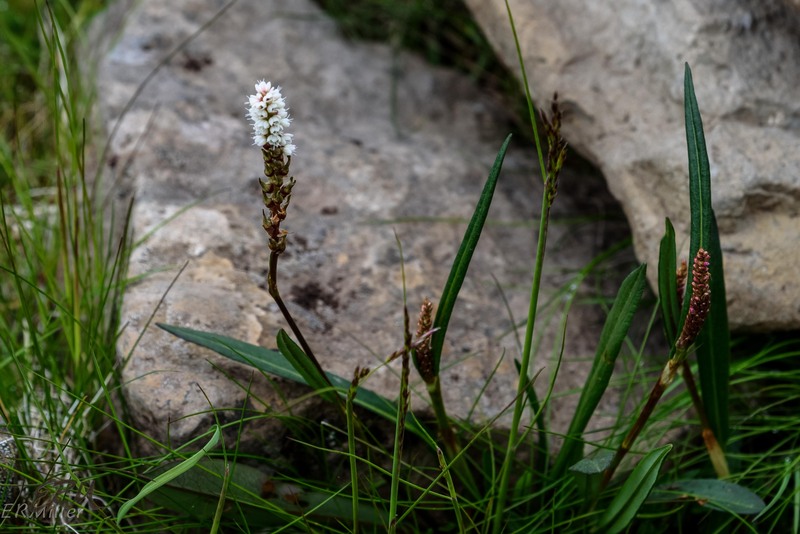 Arctic bistort is found in subarctic regions around the northern hemisphere; in the US, there are a few scattered occurrences in northern New England and the upper Midwest, as well as in the Rocky Mountains south to New Mexico. In Iceland it grows in a variety of habitats at elevations from sea level to over 3,000 feet. Considering how many different binomial names this plant has, it may be a stretch to say that there are relatives in Maryland, but jumpseed (Persicaria virginiana, which should be blooming about now), is very common here, and another dozen plus species of Persicaria can be found here. There isn’t much interesting about this plant except that it mostly reproduces vegetatively (instead of sexually) by means of bulbils. If you zoom in on the picture you can see bulbils at the bottom end of the inflorescence. The bulbils will drop off and form new plants that are clones of the parent. The specific epithet vivipara refers to this floral analog of giving birth to live young. 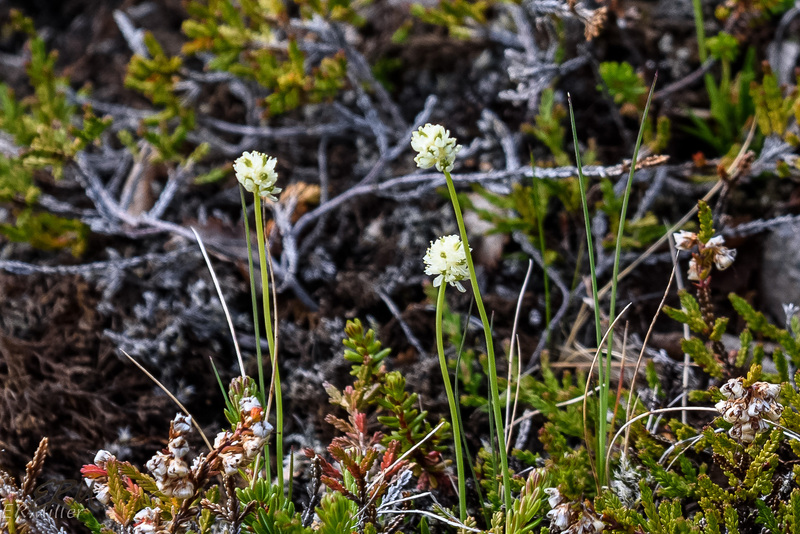 Despite the descriptor “Scottish” in the common name, this plant is native to subarctic zones around the globe. In the US it’s limited to four counties, in Montana, Minnesota, and Michigan. It’s not quite as widespread in Iceland as the bistort is, but is still pretty common. Only one member of the family Tofieldia is known to have grown in Maryland, but sadly it’s been extirpated. By the way the leaves are not visible in this picture, which is a shame, but this was one of several plants I saw by mistake while photographing something else. If I’d realized what I’d seen… oh well. This entry was posted in Uncategorized and tagged Bistorta, Iceland, Polygonaceae, Tofieldia, Tofieldiaceae by elizabeth. Bookmark the permalink.